Please do not message our Facebook Page for answers to any questions that you may have, as this page is to POST information regarding upcoming events only and messages are not checked frequently on that page even if the page posts frequently. Thank you in Advance!! And help our kids in the process! Now after all this... the moment the town of Halifax has been waiting so desperately for is rapidly approaching. IN LESS THAN THREE WEEKS... HOPS IS BACK! We gotta build this sucker. FRIDAY APRIL 12- SUNDAY APRIL 14. Our community will come together to once again show what an amazing little town this is. Sign up for a half day shift. No construction experience needed... but if you have some we'll take it! We do ask though that since there will be heavy equipment on site that you leave the kids at home. The original HOPS of the early 90's was such a point of pride for everyone who made that project happen. Now its time for a new generation to step up to the plate for the kids in our town and restore the magic. I can't think of a better gift. But hey... if that isn't incentive enough... how's this? We'll also feed you and give you a cool "I Built HOPS" T-shirt... which comes with free bragging rights and major street cred. We are SO CLOSE! Please help us get there." HALIFAX YOUTH AND RECREATION DEPARTMENT 22nd Annual Holiday Eggstravaganzaa! 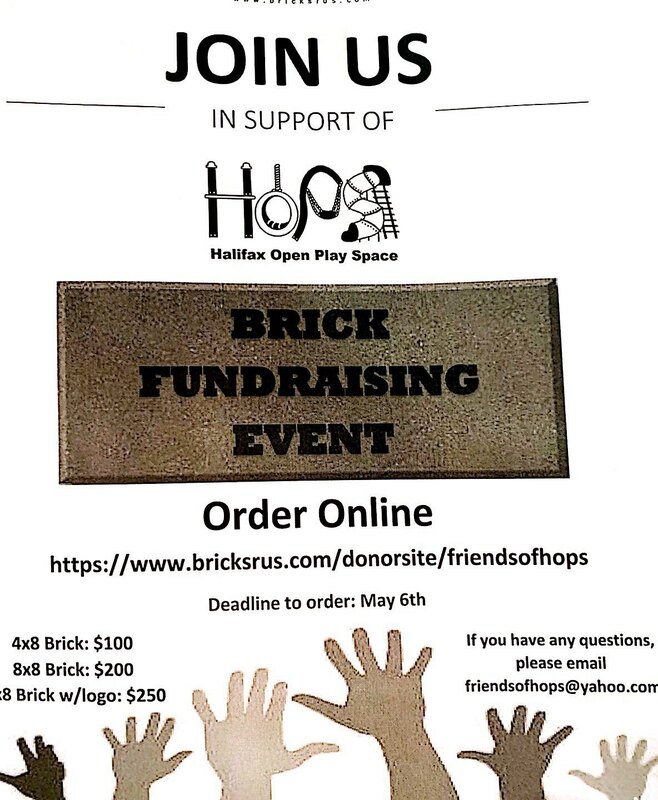 When: Saturday April 6th from 10:30AM to 1:00PM at the Halifax Elementary School Gymnasium- Rain or Shine! Over 4,000 eggs stuffed with goodies! A Special Raffle Prizes!!! After school Sports provides appropriate organized physical activity to students in grades 3-6 with an equal emphasis on establishing and developing ideal conduct, sportsmanship and teamwork. It is our hope that students will become leaders amongst their peers in promoting appropriate behavior in all facets of their daily lives. Mr. Ruisi & Mr. Bayramshian oversee this program under the direction of the Halifax Youth and Recreation Department. Students interested must fill out a registration form signed by a parent or guardian and return it with payment to school in an envelope marked After school Sports. Checks should be made payable to the Town of Halifax and delivered to the homeroom teacher or Mr. Ruisi. We will ask parents/guardians to sign up for text or email communications using the App Remind. Information on how to set up Remind will be given out once your child’s first session begins. Students need a note from their parent/guardian giving permission to attend sports at dismissal. This note should specify the duration of participation for each student. (For example: My son may be dismissed to Sports for session 1; My daughter may be dismissed to Sports for session 1 and 2; or my son and daughter may be dismissed to Sports for all sessions, etc...) Notes should go to the classroom teacher to be forwarded to the main office and placed on file. Students will arrive at the gym at 2:35-2:40 from their classroom. Students are encouraged to bring a snack that can be enjoyed from 2:40-3:00. Many students bring in a change of clothes to wear. Sneakers are a must. Students are also allowed to relax, do homework, or carry on a conversation with friends. At 3:00, student warm-up activities begin. All student pickups should be promptly at 4:30 in the gym lobby. During Session 1, Grade 6 will meet on Mondays, Grade 5 will meet on Tuesdays, 4th grade will meet on Wednesdays and 3rd grade on Thursdays. There are monthly staff meetings on Wednesdays, early release days and holidays that will impact the schedule, so please follow the session calendar (session calendar can be found at the HES web-page at hes.slrsd.org). If enrollment is high for a particular group, it is possible that we will add a day to reduce class size to a safer amount. If enrollment is low, we may decide to combine two groups to a specific day. All adjustments to the program will be made at the beginning of session 2. All payments should be made payable to the Town of Halifax and include student’s name, grade and session number on the check. Cash is not accepted. TBA 6:30 p.m. to 9:00 pm. Music Starts at 7pm! Chaperones are local teachers and Recreation Staff and are corried! These Dances are well supervised. Children are not allowed out of the building unless a parent is picking them up. Drinks, GUM, and outside Food are not allowed in the building. Parents will pick up children in gym lobby when dance is over. 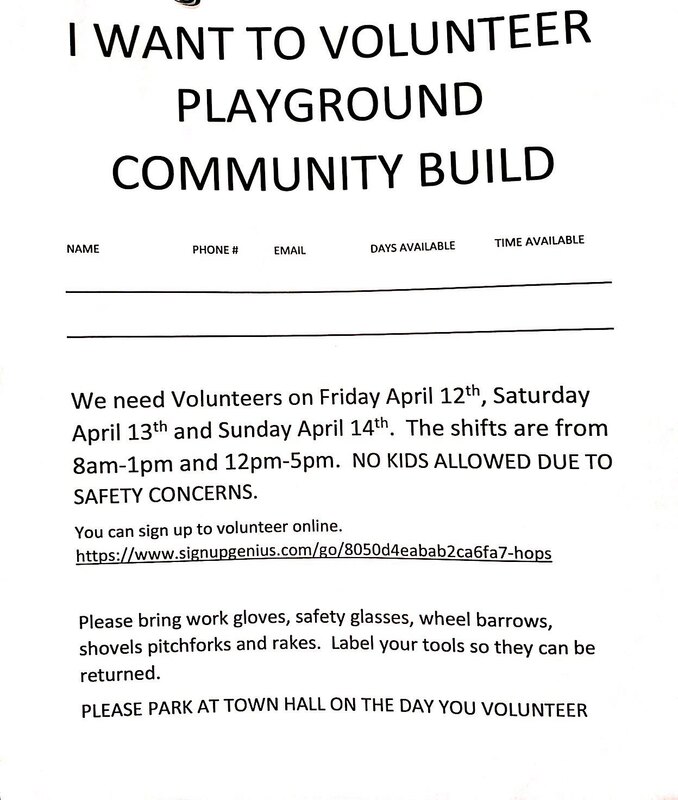 Halifax Youth and Recreation reserves the right not to allow children into the dance that may be there to cause problems. We all want to have a great time! For more info please call Richard Steele Youth and Recreation Director at 774 281 0096 or 781-294-1215 or Christine Herrick Program Coordinator (774)283-2965. Please allow at least 2 business days to return your call if there is no answer. Please do not call the Elementary Schools or the Halifax Town Hall. Personal checks made out to, Town of Halifax. Please complete section below-information is only used for emergency purposes. PLEASE VISIT OUR FACEBOOK PAGE FOR PHOTOS AND VIDEOS OF OUR DANCES! We will be participating again in the 2018 Holidays in Halifax Town Stroll this year! We will be located in the Halifax Elementary School Gymnasium. Time and Activities are TBD but tentatively there will be Moonwalks, a DJ with music, Face Painting, Glitter Tattoos, Dunkin Donuts while supplies last, and etc. More information will be posted so stay tuned! Enrollment is open for Sessions 1 and 2 of the after school STEM club. This program is open to Grades 1-6 students at HES and is a great way for students to learn more about Science, Technology, Engineering, and Math. Classes will start the week of October 22nd (see below for specific dates and times). Grades 1 will meet on Mondays. Grades 3 and 4 will meet on Tuesdays. Grade 2 will meet on Wednesdays, and Grade 5 and 6 will meet on Thursdays. The club will run after school until 4:15 p.m. You can choose to enroll your child(ren) in 1 or 2 sessions. Each session consists of 4 classes. Please note that class space is limited and students will be placed on a FIRST COME, FIRST SERVED basis. Any class that is cancelled due to weather or unforeseen circumstances will be rescheduled. The following teachers will be teaching: Mrs. Belsky, Ms. O’Grady, Mrs. Reidy, Mrs. Shaw, Ms. Thibeault, Mr. Troy, Mrs. Whitney. Parents/Guardians must fill out and sign the registration form that is available directly from the program teacher. Please return the registration form along with payment to your child’s homeroom teacher in an envelope labeled “STEM club - Mrs. Whitney”. Please make checks payable to “Town of Halifax.” Payment is non-refundable. Students will arrive in the library at dismissal time, 2:35 pm. Prior to the start, students will be given time to enjoy a snack and/or complete homework. Please send your child with a nut-free snack! Snack will not be provided. Students should be picked up promptly at 4:15 pm in the school lobby by the main office. Students attending the YMCA will be dismissed to the YMCA. Please contact Mrs. Whitney (Grade 6 Science Teacher) with any questions or concerns. IF YOU ARE INTERESTED IN SIGNING UP FOR ANY OF OUR CURRENT OR UPCOMING EVENTS PLEASE VISIT THE FORMS PAGE>Current event forms AND FOLLOW THE INSTRUCTIONS ON THE FORM THAT COINCIDES WITH THE EVENT YOU ARE INTERESTED IN. Don't forget to check out the "links we like" page for other great programs in our community!! !